This game is a classic Hero Defense that requires a very strategicgameplay. As a defender, your task is to defend Moo Moo, the King ofthe Town Thunderbluff. There are 25/35 levels(Depends on the mode you used). In Normal mode,almost each level spawns 3 different types of enemy creeps, except forthe boss wave. For every 5 levels is a boss level; pretty hard andneeds strategic play to defeat the bosses. After you finish defendingthe waves, will appear many bosses, some optional, witch will grantvery good items to defeat the final boss Centaur in the end. After each level the player has a timer of 60 seconds, to buy what they need. In this map, the players may find numerous secrets, obvious ones, thatwill make the game faster, and more captivating and interesting. While defending Moo Moo, players can do side-quests. The side-quests gives more items or gold. -Try to find all the secrets. -Don't choose only tanks, or only damagers, cause the game will be more difficult. -Don't be selfish with the creeps cause the gold will be divided to all the players. - Original mapmakers: x3pt, hunter_demon. 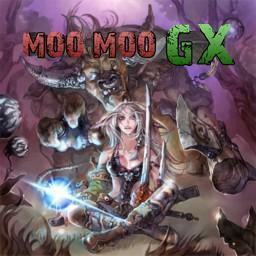 Download : Moo Moo Generation X Links??? +4 from me becouse the map got a little harder. where to find the secret hero tavern? anyone? this is best deence map i ever play. realy...realy coool. i played all versions, this map best.